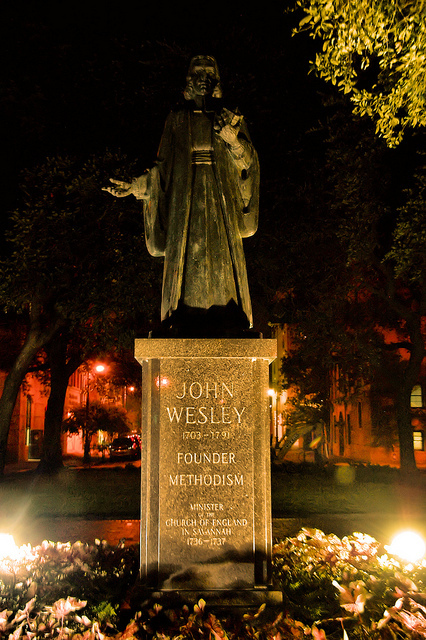 Though his association with Savannah was brief and controversial, John Wesley’s presence in the first decade of colonial Georgia’s existence assures him hallowed status. This monument, in Reynolds Square, was dedicated in 1969. To learn more about Wesley and the Methodist church, pay a visit to the Arthur J. Moore Methodist Museum on St. Simons Island or get in touch with Judi Fergus at the link below. Her enthusiasm for the history of the church is inspiring.